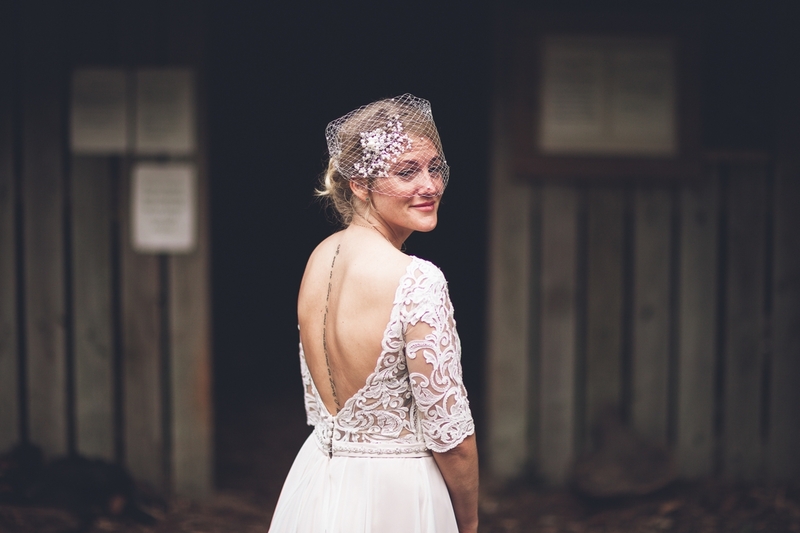 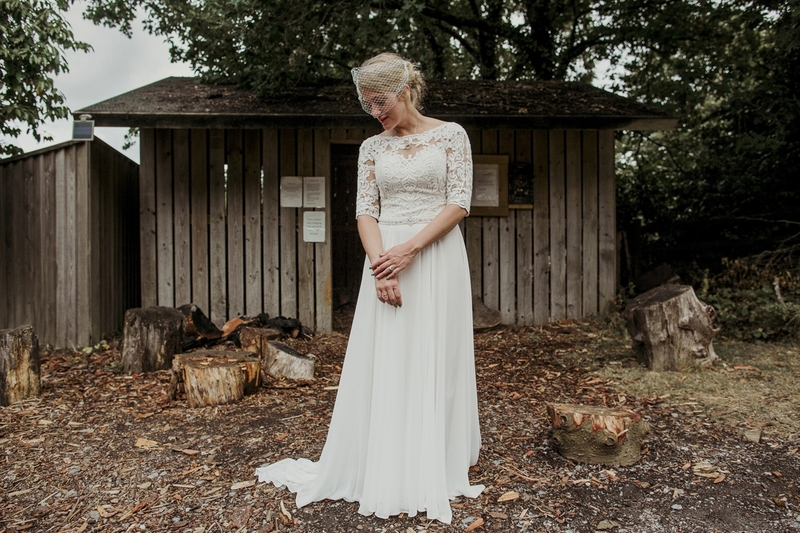 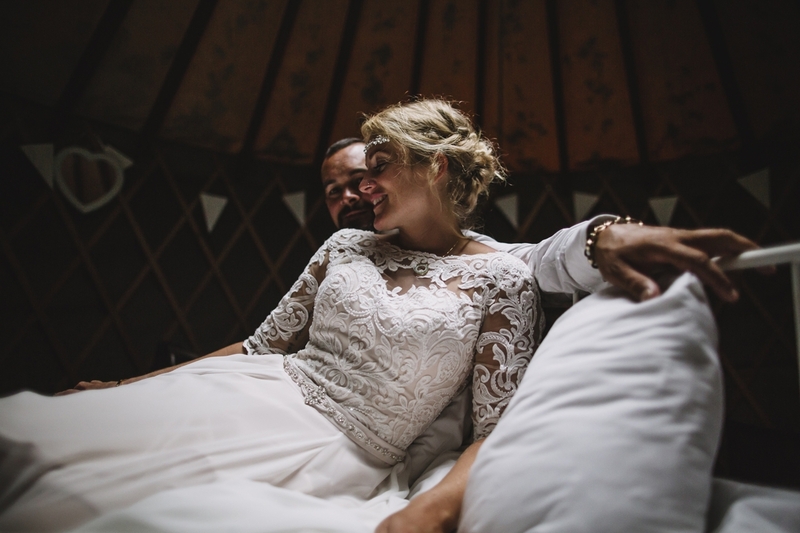 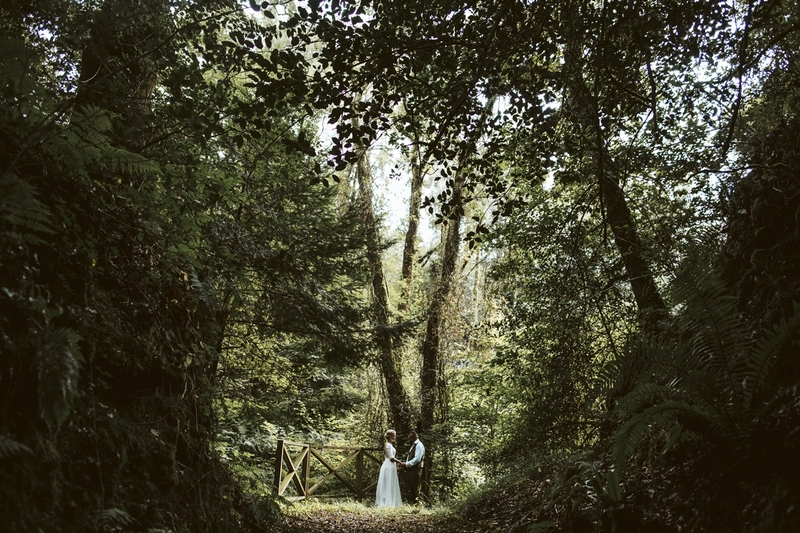 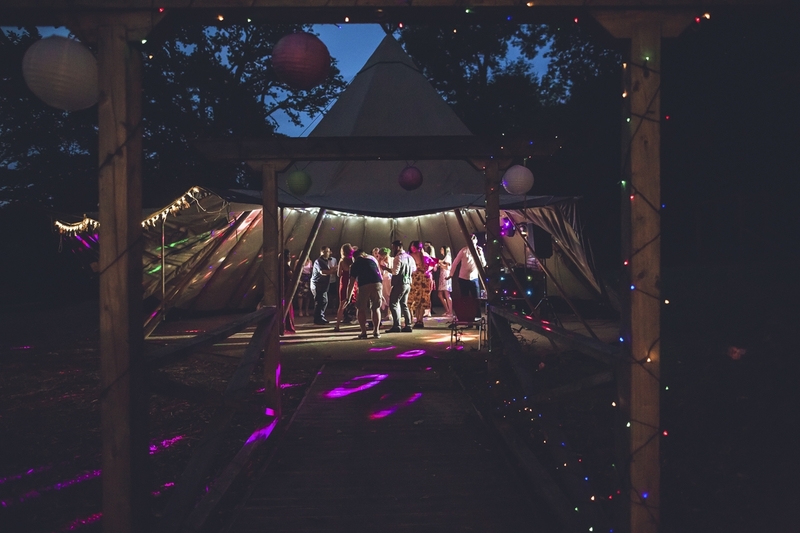 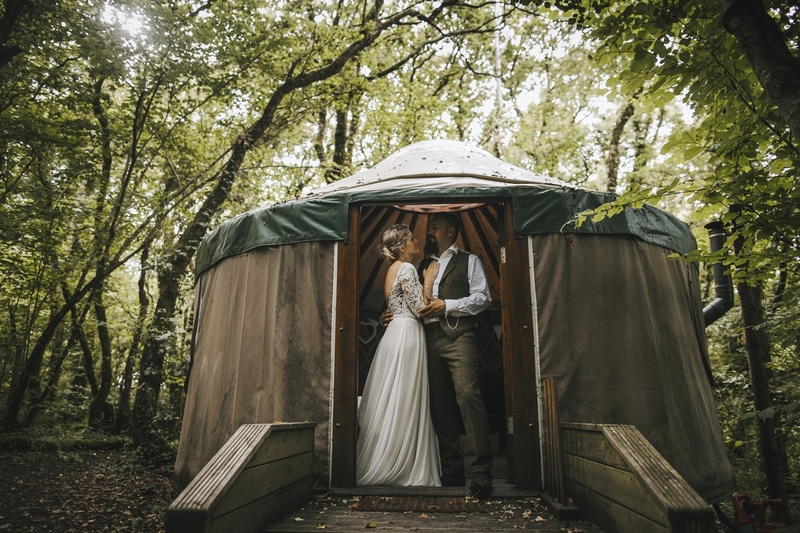 Paris soon came across Yurtcamp; set amidst acres of wildly beautiful woodland, it provided the perfect setting for the couple’s laidback weekend of festivities, where live music and an outdoor ceremony contributed to the festival feel. 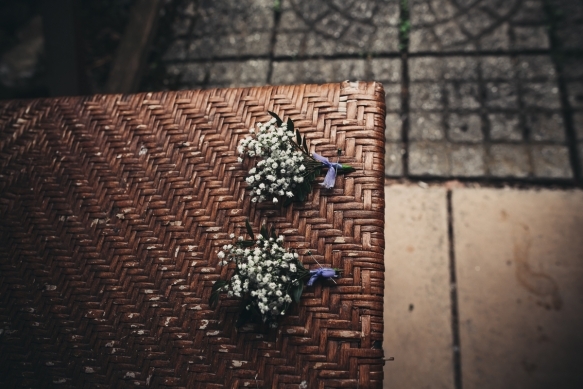 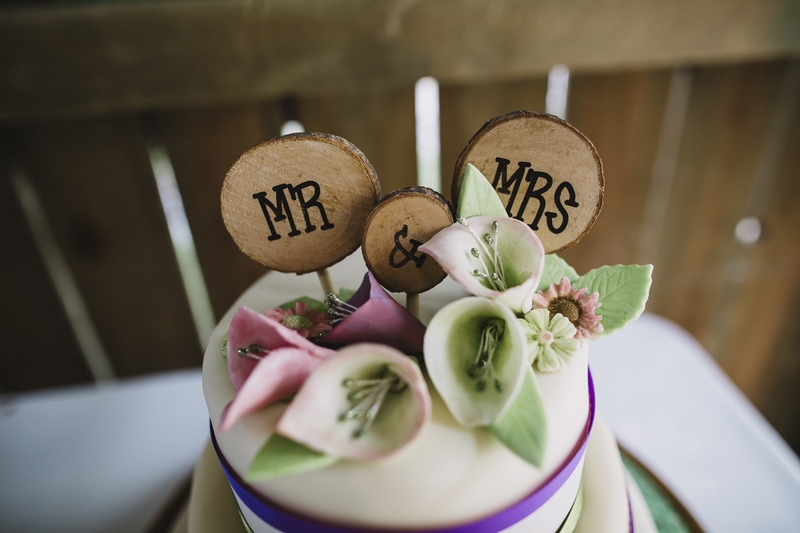 Stephanie and Paris took care of most of the finer details themselves, from handcrafting the decorations to creating the floral arrangements, bouquet and buttonholes. 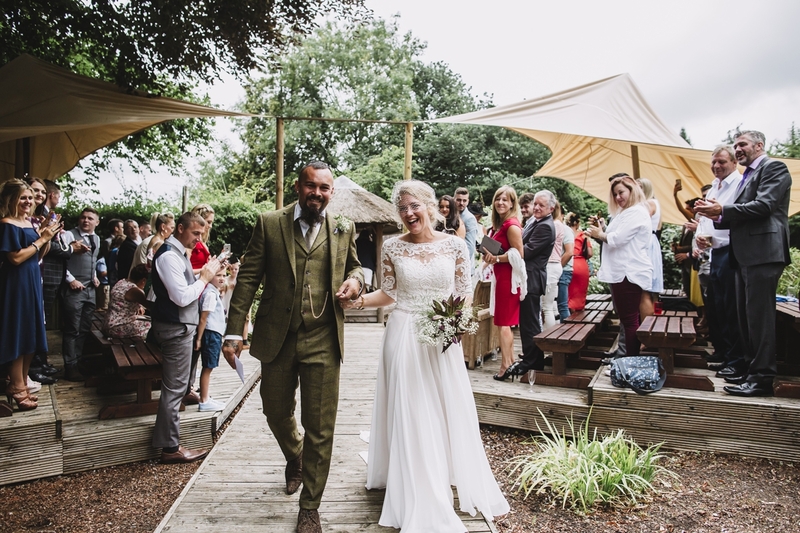 The pared-back décor complemented the venue’s natural setting, with hessian table runners and wild flowers in jam jars flanked by a statement foam LOVE sign that was sprayed with green and purple glitter. 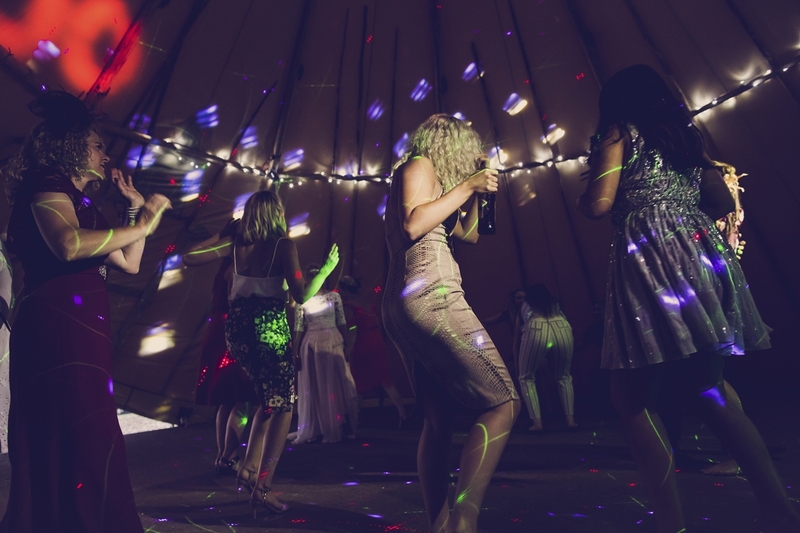 A barbecue feast and live band Busta Groove kick-started the celebrations on the Friday evening. 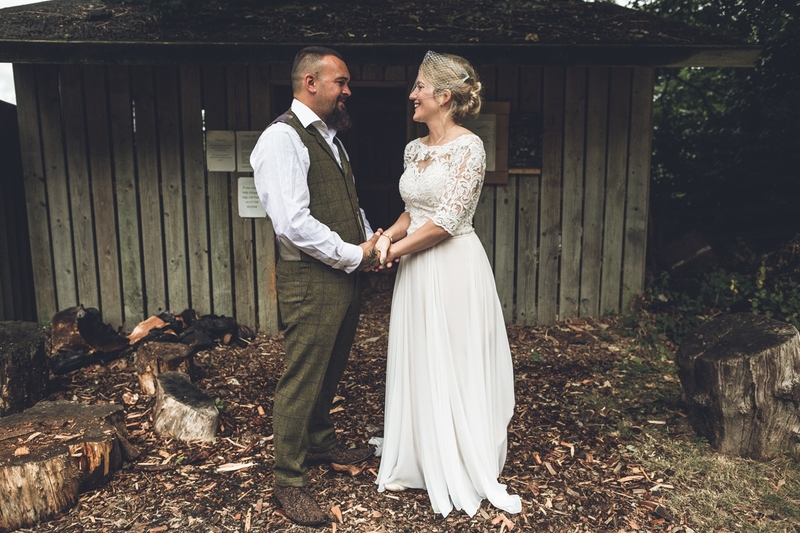 “It was a lovely and chilled first evening at the venue,” says Stephanie. 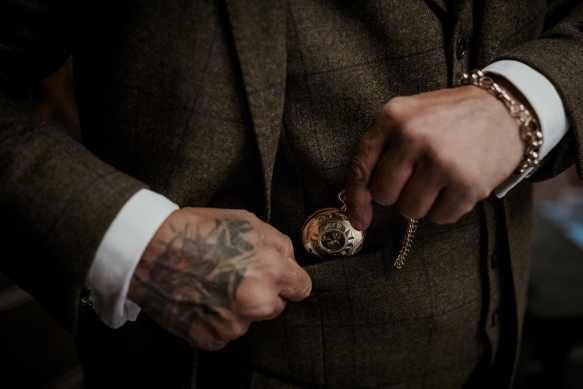 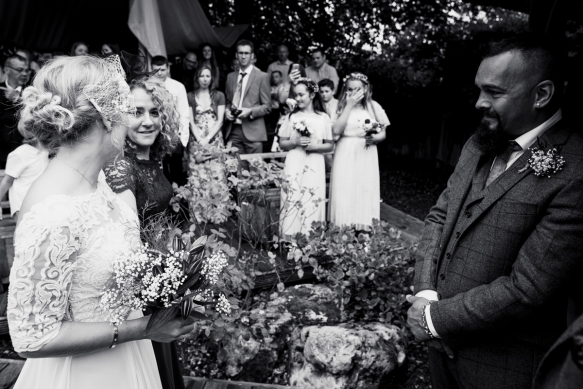 The next day, the midday ceremony was followed by more live music, along with plenty of mingling over drinks and a hog roast. 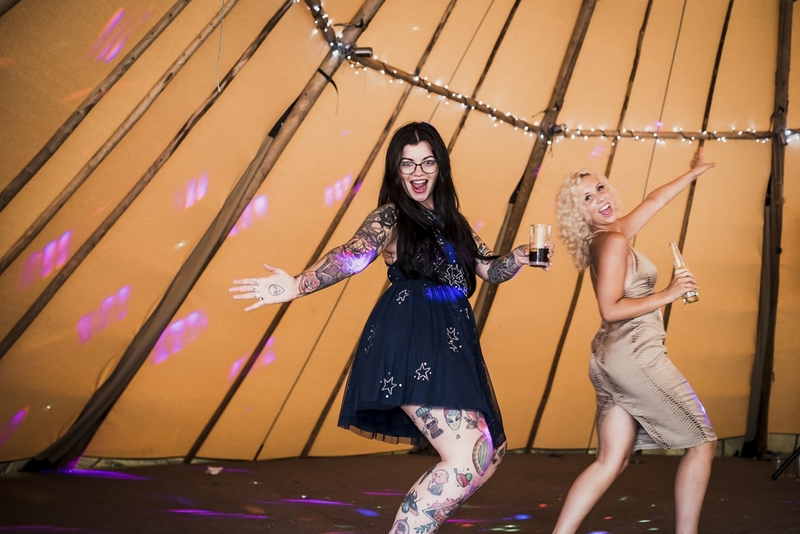 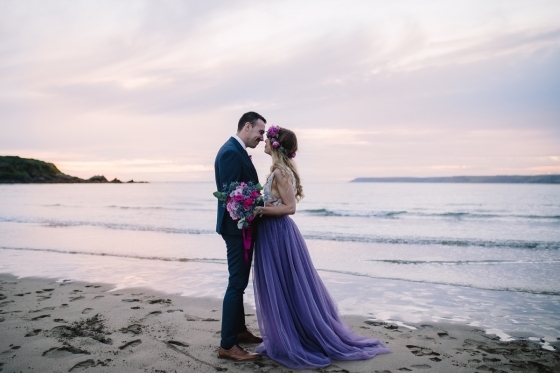 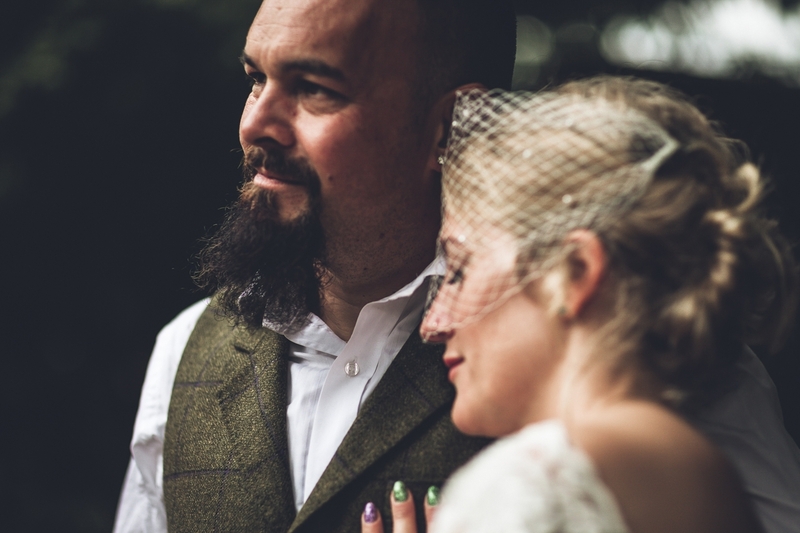 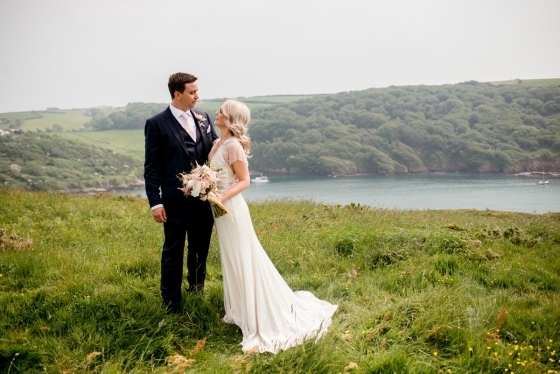 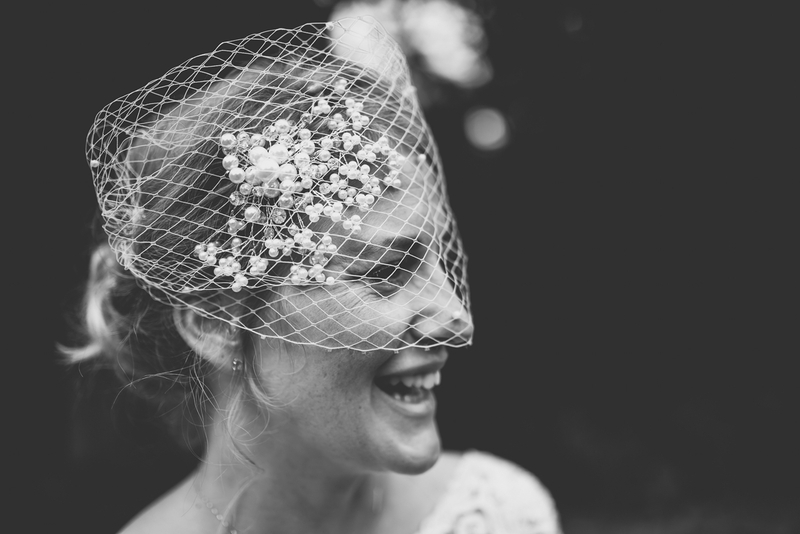 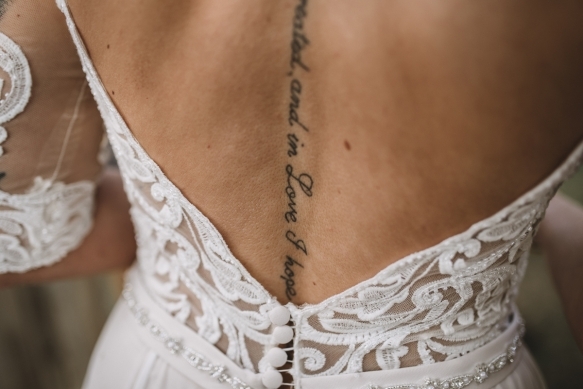 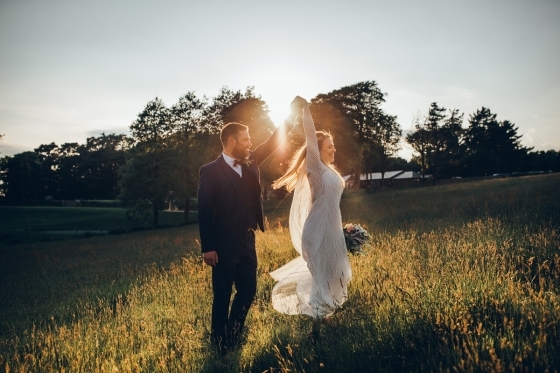 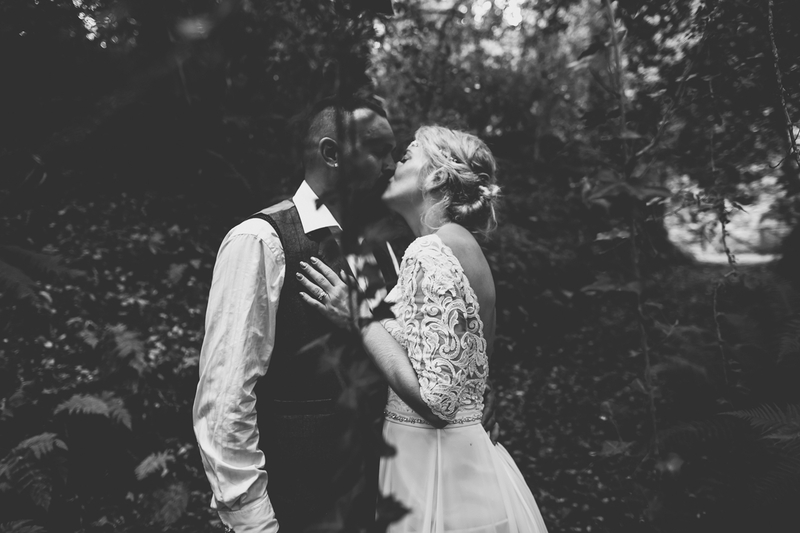 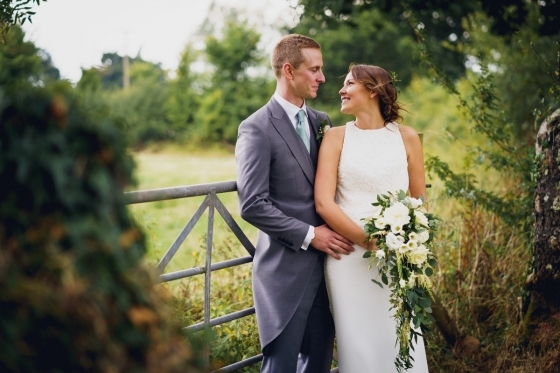 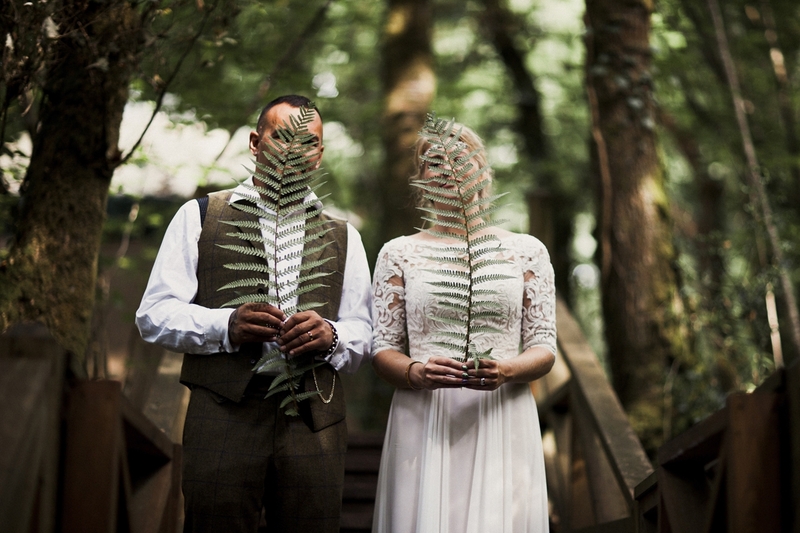 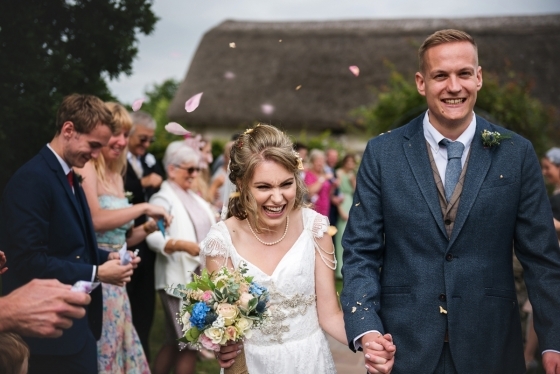 Having shared the wedmin from day one, Stephanie and Paris’ collaborative, creative and chilled-out approach to organising their wedding ensured it stayed wonderfully stress-free and true to their original ideas. 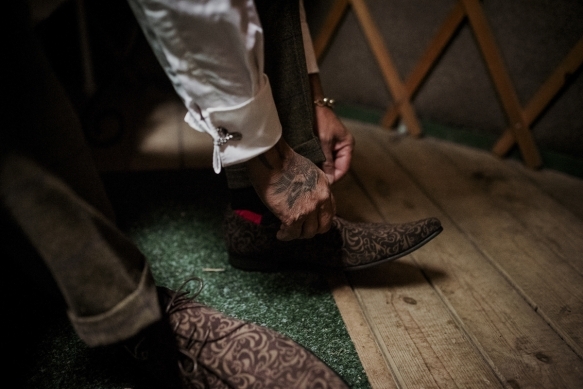 Paris agrees. 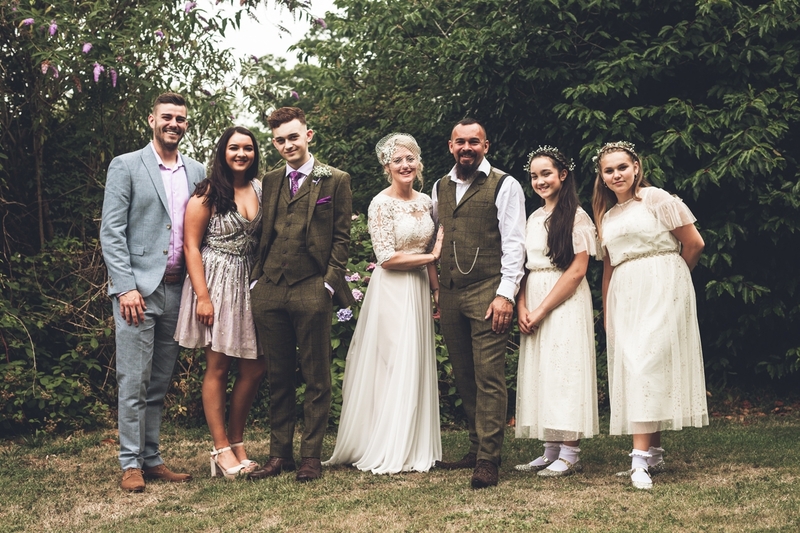 “I loved seeing everyone coming together for us and the joining of our families,” he reflects.